Once in a while when I have some spare time I like to do some fashion sketches. 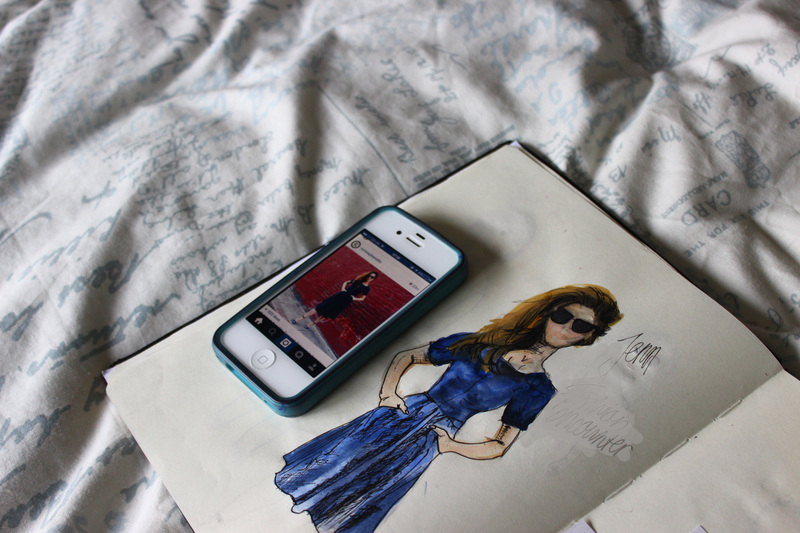 I love to just doodle randomly, which fashion sketches are perfect for. 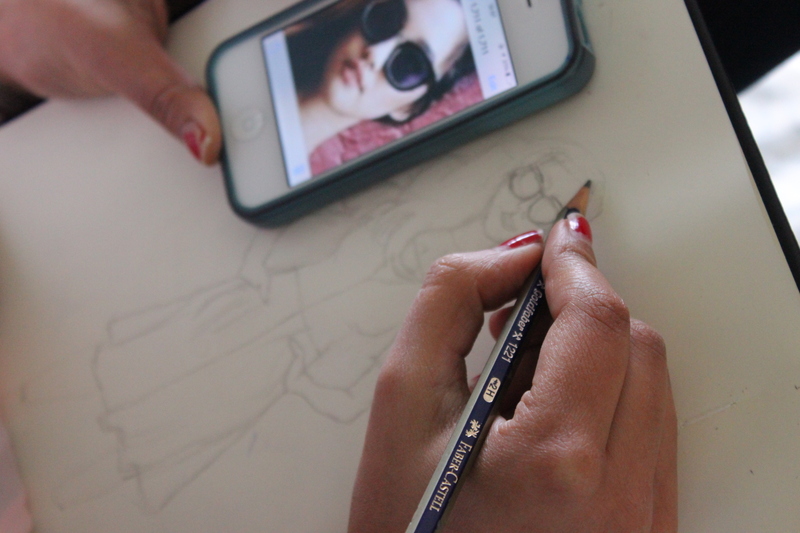 You have so many different ways in which you can sketch them. Today I will show you one of them. Pencils- To draw with of course. 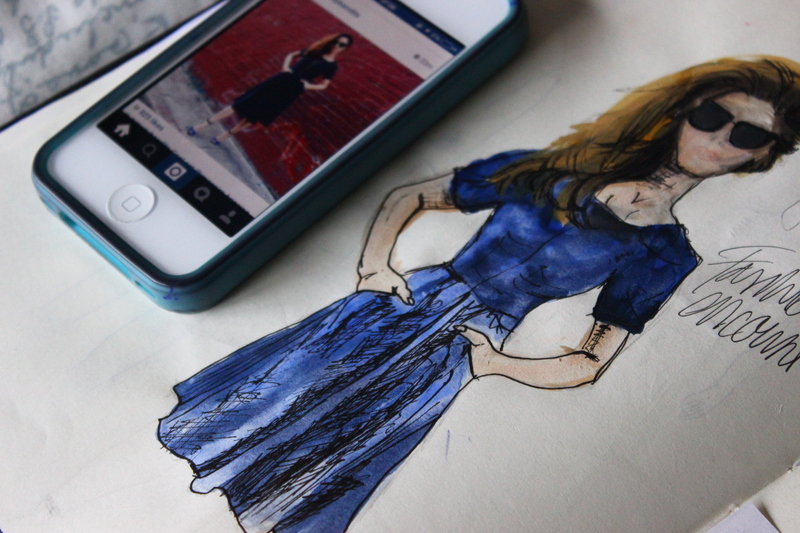 There are also fashion designers that like to draw out their sketches completely without using any colour at all. 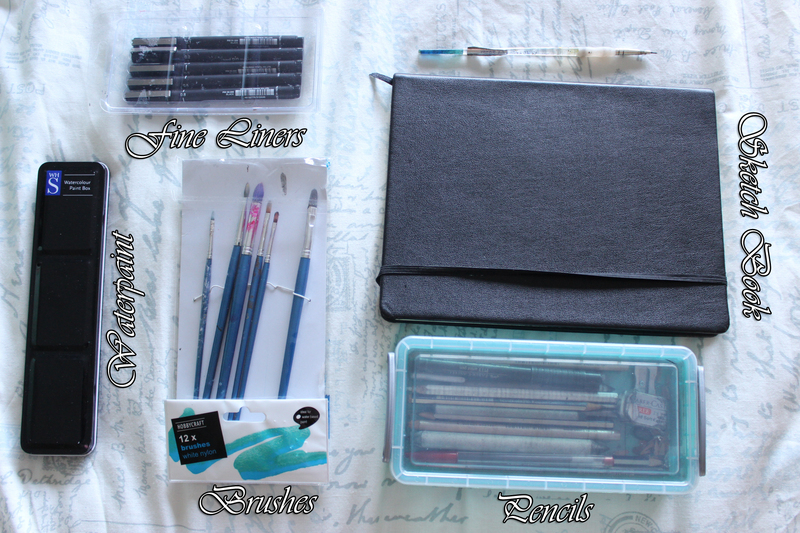 I have the brand Faber-Castell and for 4 long years they have been my best buddies for when drawing. Paint Brushes- Preferably small sizes but they could be bigger as well. It is all about developing your own style into a piece of art work. There are no limits and no boundaries. Nothing is right or wrong. Fine liners- Believe me when I say that fine liners can make a massive difference. I would say invest in some really good fine liners. If you are starting as a beginner start with black but as you get more comfortable with using black go for coloured ones. I have 0.1, 0.2, 0.3, 0.5 and 0.8. 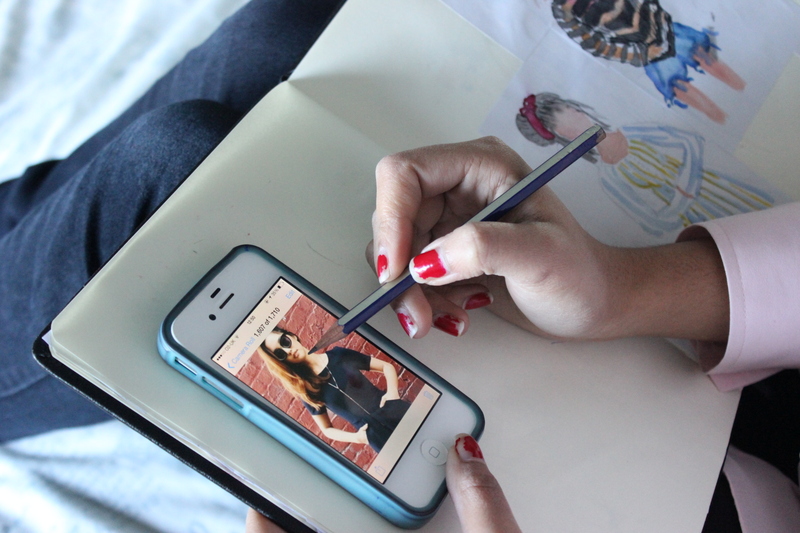 I start to look at Tumblr or Instagram for some inspiration. It doesn’t have to be the whole body as it can be a fragment as well. Although I have gone for the whole body as that was easier to show. Then I start to look at the composition of the picture. In my case the face is a bit tilted so I would have to keep that in mind when I start to outline the main part. After I have sketched the main part out I start to get more of the detail into it. It doesn’t have to be exact. This is the fun part of fashion drawings as you don’t have to be an artist or a master in drawing to actually get the hang of it. Afterall it is in the name, It is just a sketch. Not an observational drawing that you will be marked on. Try to zoom in onto the picture to get the right composition of the picture. After you have drawn the picture we will start with waterpaint. I love paint! I could just paint all day. Anyways not the point. Start with pigmenting your brush by dipping it a bit in water and then mixing it with blue . Then get an even blue colour and paint it over your sketch but fading the colour out ( with more water) by the sections where the light would hit the person’s clothes. If you get what I mean. Then start mixing the black with blue creating dark blue. 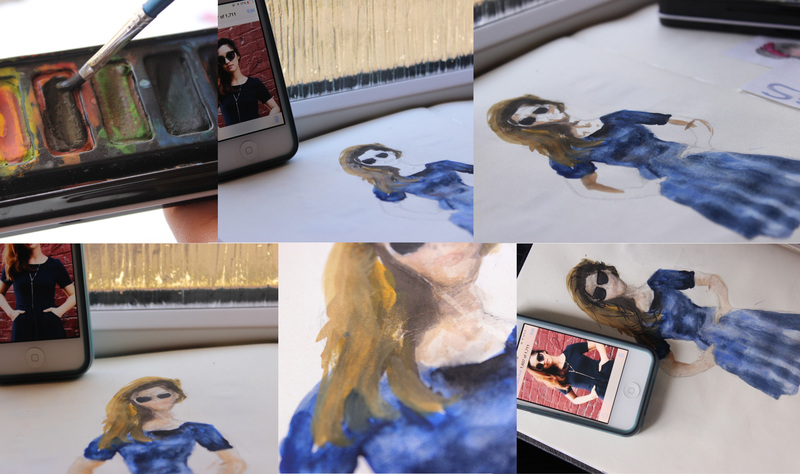 Start painting and outlining those sections where it is shown darker on you photo. Try to blend the blue and the dark blue together rather than having just a brush stroke on the shoulders for example. Now onto the hair. Whenever you see something dark never assume straight away it is black or at least that is not how an artist would see it. Instead try to look deeper into the work. In this case her hair is more dark burgundy brown rather than just black. I started off with layers while looking at the picture. With this I mean I started to get the darker shades in first and then started to blend it with the golden blond brownish colour. Similarly for the skin colour. I started off with trying to get a darker colour of her skin colour. I then blended that colour out with water. 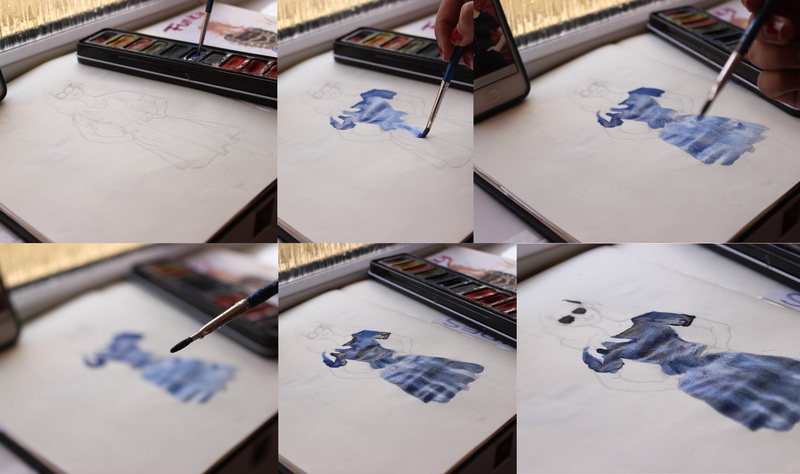 Using different shades of colour is what will give your sketch a 3D effect. In the last picture you can also see that I have started using the fine liners. I would start of with the 0.1 so with the smallest and then work your way up to the highest. Line out those marks that stand out the most. Now you can use the black fine liner where it is darker. You can also use it to outline the hair as that way the hair will look more alive as well. I hope you enjoyed this diffrent-but-still-fashion-related post;) I would love to share some more tips and tricks to sketch fashion designs as they are very easy and fun to do. There are also many different types of materials that you can use. For example some Fashion designers enjoy just drawing it out completely with pencil like I said before. What did you think of this kind of post? well done! wish i could draw like that!